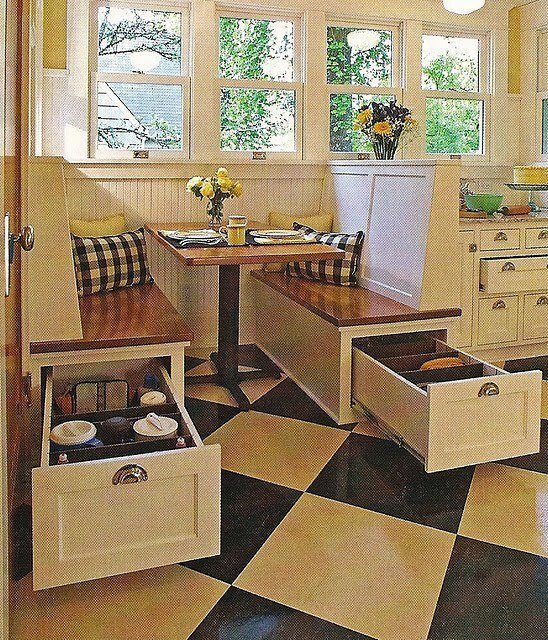 Sometimes I run across photos of truly inspirational solutions for eat in kitchens. 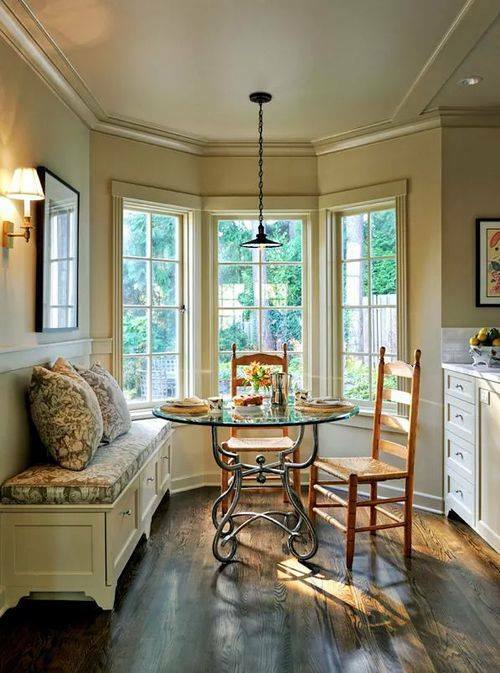 Instead of just a small table and chairs, built in seating often offers extra hidden storage and other uses of the space other than just dining. I certainly enjoy reading a book in a lovely window seat, or sprawling out a work project next to a window with great light, and preferably a lovely view of the great outdoors. The following are some creative solutions for Kitchen Banquets and Bench Seating. A simple bench seat, but color plays such a large part in what makes it so inviting. Eclectic and Country. Comfortable and Casual. Simple yet elegant. There is still plenty of seating in this small kitchenette. Reading, resting or eating, you have room for it all. Pottery Barn Shayne drop leaf table. If it were me, I probably would have built a bench seat straight across the alcove. However there seems to be something under the bench seat, for which this placement may have been hiding something construction wise that was awkward, and the bench seat placement covered it up nicely. 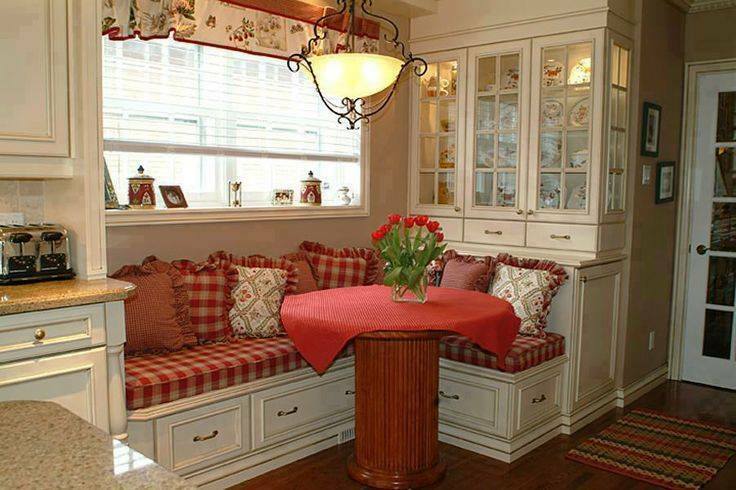 I confess to being a lover of red and there is so much to like about this bench seat area. I’m not wild about the table, but everything else is appealing. Built in hutch and bench seat. Brilliant! 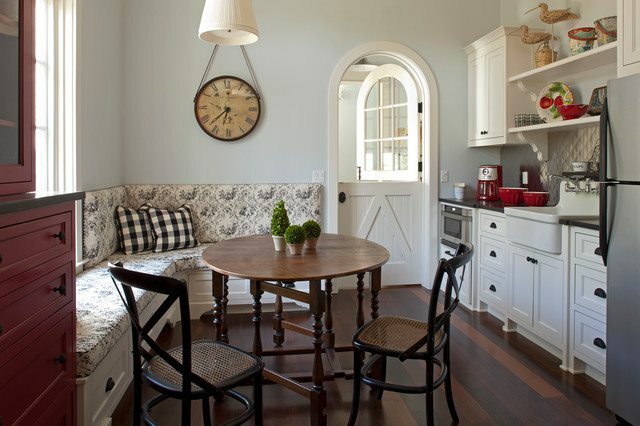 I have a warm spot in my heart for Windsor chairs. The woven blinds blend nicely with the bench seat’s upholstery and all the disparate styles are pulled together quite nicely. 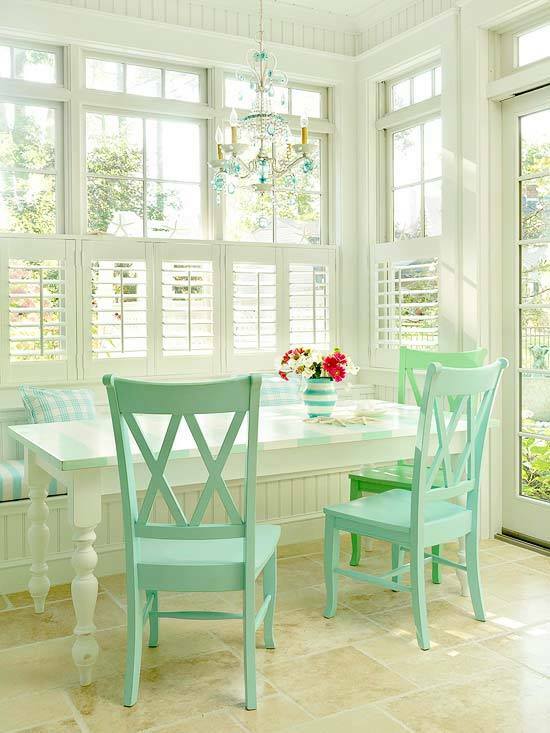 A bright and airy sun room eating area. The lusciously colored chairs and pillows feel so fresh and spring like it practically invites you to sit down and have a bowl of fresh fruit. Sometimes bench seats are just the ticket to solve some flow issues. 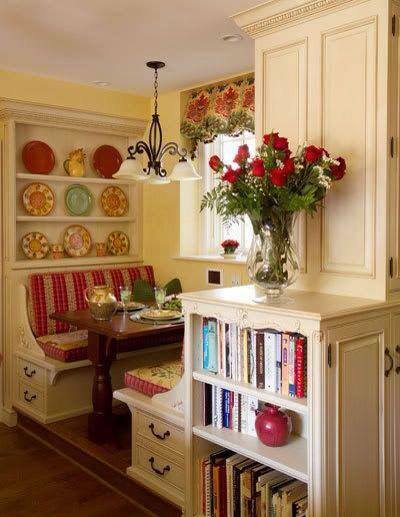 Notice how the doorway creates a walkway that would be a tight squeeze with a normal table and chairs. Bench seats that hug the walls move everything over, often buying just enough space to create clear walkways without bumping into furniture. Custom upholstery coordinated with artwork makes all the difference between mundane and marvelous. 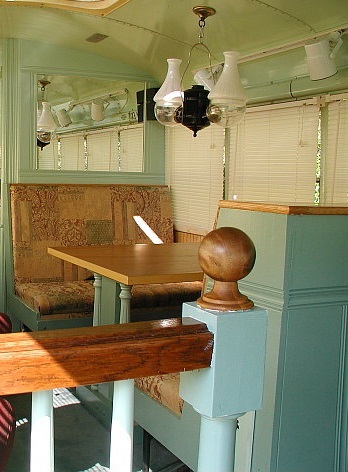 This built in banquet is part of an incredibly beautiful bus conversion. You never camped (glamped?) with so much style! This banquet is one of my favorites, as it incorporates an area for my cookbook fetish. Built in banquet with book and decorative showcase areas. I can’t begin to describe the sheer wonderfulness of an eating area that has the cozy ambiance of a built in fireplace and pizza oven. 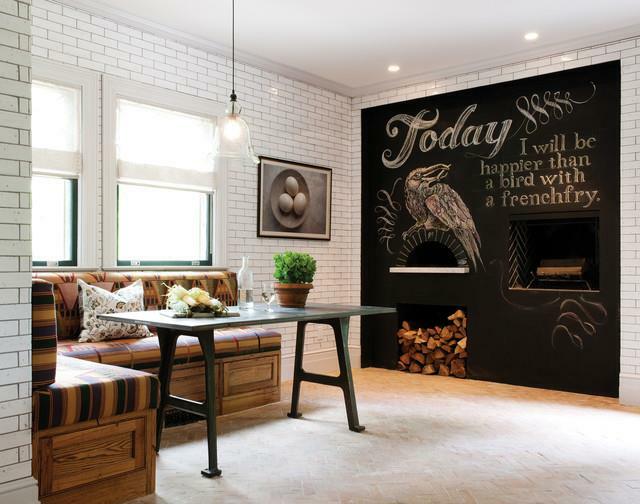 It appears that the area is even complete with a chalk board wall for when artsy inspiration strikes, completely changeable with your mood or the seasons. What else is there in life? Eating area with fireplace and pizza oven. When pressed for space, sometimes an attached bench seat to the back of an island will fit more people – and more comfortably than a few bar stools that would normally go in the same place. Built in banquets are such a great idea for long, narrow kitchens when a homeowner would like an eat in kitchen without a table and chairs taking up valuable space. And look at all the storage in those deep drawers! Well now that we have all these wonderful places to dine, what’s for dinner, and when do we eat? Welcome to Lifestyles of the Kitchen Famous. Many have been following me at Much Ado With Nothing. As my hopelessly creative mind has focused on how to design on a dime at that site, (as the name implies), it really didn’t reflect what I do professionally for clients, who prefer higher end solutions. Towards that end, I’ve decided to split the sites up. Much Ado With Nothing will still focus on budget design and decorating, but will also include craft items and other creative endeavors. 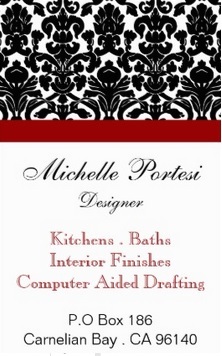 THIS site however is my professional Kitchen, Bath and Interior Design website. My portfolio will be here as well as posts on interior design with a focus on kitchens and baths…or anything else ‘house’ related that would be of interest. As many of you know, I’m an Interior Designer specializing in Kitchen and Bath Design in the Lake Tahoe, Truckee and Reno area, although my career path has taken my skills closer to an Interior Architect these days. You can read more on the ‘About’ page …when I finally get it written. In the meantime, as I continue to build the site, I’ll be posting interesting house info and photos on the main page.